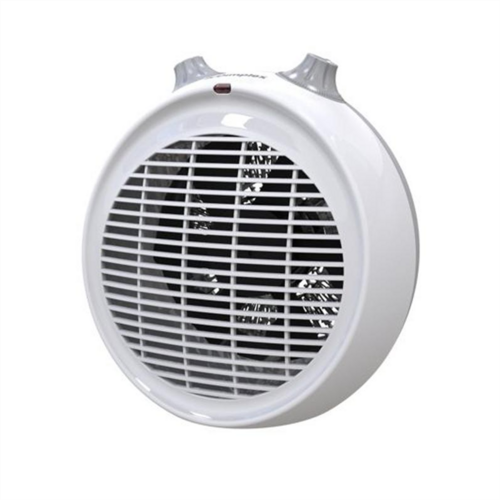 Electric Portable Upright Fan Heater by Dimplex is one of the Best Small Combined Heater and Coolant Fans on the market today. Ideal for Homes, Offices and commercial premises. A lightweight, portable fan heater, the DXUF20T allows you to top-up the heating whenever and wherever you need it. The 2kW output gives this unit enough punch to effectively heat medium and large-sized rooms, while a choice of heat settings offer the option to adjust the level of warmth to suit your environment. The DXUF20T is equipped with a Cool Air function, allowing it to operate independently of the heating element, meaning it can double as a cooling fan when the temperature rises during the spring and summer months. You remain in control at all times with an integrated thermostat, which incorporates frost protection, preventing damage to your home and furnishings should the room temperature dip beneath 5°. A safety cut-out system ensures the DXUF20T wont overheat, and its stylish design and finish make it a fitting complement for any interior. Please Note: This item has been Discontinued and Replaced By the Newer Model DXUF20TN. Therefore you may receive the New Model.